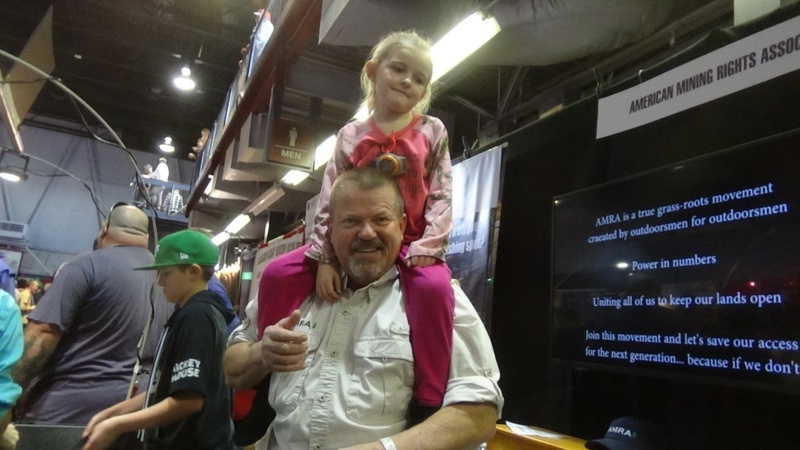 Quite a day at the International Sportsman Expo in Sacramento today! We partnered with two non-profit fishing groups as they are fed up with over-regulation and see the benefit in uniting like we do. We spent over an hour with CA Department of Fish and Wildlife explaining how a suction dredge works, the benefit to the fishery and the politics behind what we are all seeing and they agree it is rather silly what is happening in California. 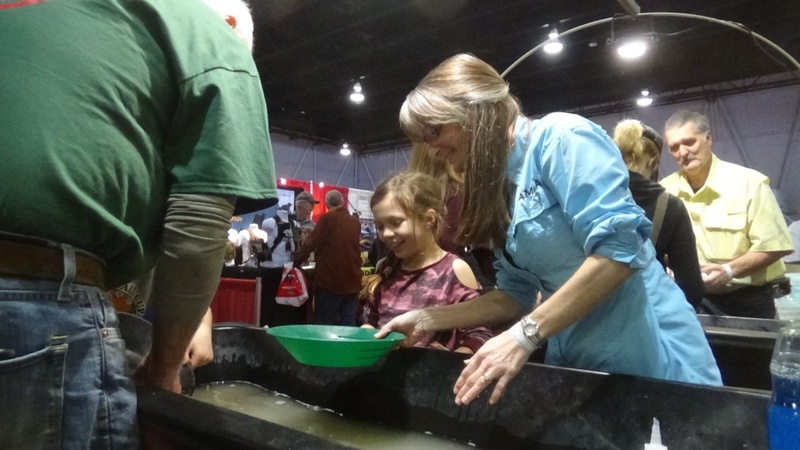 We sent 184 kids (and some BIG kids…adults) home with vials of gold after panning today at the AMRA booth next to Roaring Camp and man were there a lot of smiling faces. We’d really like to thank Roaring Camp for giving us 8 more week long trips to their amazing mining camp down on the Mokelumne River just south of Sacramento again for 2019. Great folks, great place and we’ll be highlighting them many, many times this year. 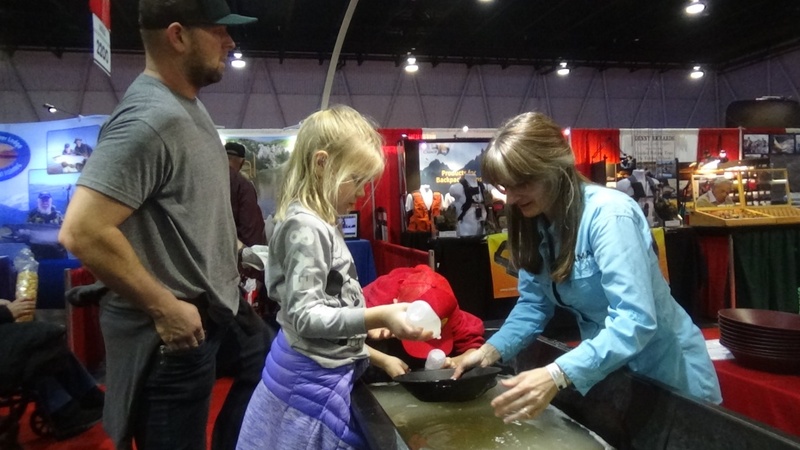 Here is a link to Roaring Camp’s homepage…check them out! Here are a few pics from this busy show. They are open from 10am to 5pm tomorrow at Cal Expo on Arden in Sacramento.